It’s therefore possible to review the currently valid scientific name of a given species, its correct spelling and taxonomical classification, and whether there’s been any confusion with that name in the past. There’s also an extensive reference section which can be used to check the occurrence of that name in the aquarium literature over the last century. 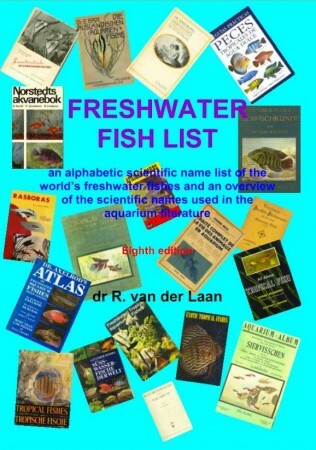 Beyond provision of these resources the aim of the book is to stimulate use of currently-valid scientific names in the aquarium hobby as well as listing the most commonly-used vernacular names, incorrectly-applied scientific names, and aquarium book citations. NB: If you run a Linux-based operating system please use Adobe Reader to download the file otherwise you may be unable to do so. Hm, it shouldn’t request one. Let me check. My friend has just downloaded the paper without any password, and she’s not a member of the site…have you tried the link in the forum Bojan? Yes, but I still can`t get it without Password? Ok I’ve added a note to explain why you were encountering problems Bojan, thanks for the info! although there is an icon saying “Loading”, nothing happens. Hi have you tried right-clicking the link and’saving as’ ?